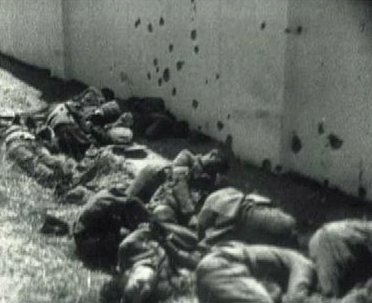 Victims the Nationalist massacre at Badajoz. Names matter. How we label events from the past does not just reflect how we view those events, but actively shapes our understanding of them. One could go so far as to say that historical events don’t actually exist as events until they are labeled. We now know the messy decade of civil and military violence that held Mexico in its grip from 1910 to 1920 as the Mexican Revolution, for example, and refer to the forty years’ worth of intricate military, diplomatic, political, and cultural world history between 1948 and 1989 simply as the Cold War. Labels, to be sure, are indispensable; they help organize the unmanageable chaos that makes up actual history. But names are never gratuitous: they always frame how we think of the past as well. This is especially crucial when it comes to categorizing armed conflict, which calls for the identification of victims and attackers, the innocent and guilty. Consider the difference in this respect between “The War between the States,” “The War of Northern Aggression,” “The War of Secession,” and “The American Civil War.” While it is generally the winners who get to determine how wars enter the history books, the perspective of the losers is not erased, and often survives in competing labels. Finally, of course, the names we give to historical events are themselves subject to change. (It took a second global conflict for la Grande Guerre to become the First World War.) Often, name changes respond to changed power relations, political interests, or sensibilities—and are likely to cause disputes. For the conflict that broke out in Spain in the summer of 1936 as the result of a failed military coup, the term “civil war” stuck early on, in Spain and the rest of the world. This was in part because its prospect had already been invoked for several years as a threat hovering over the increasingly polarized country. But once the fighting began, the “civil war” label faced fierce competition. On the Left, some preferred to call the conflict The Spanish Revolution, or, denying the Nazi-aided Nationalists their Spanishness, a War of Independence. The Nationalists, meanwhile, rhetorically dressed up their illegitimate coup as an alzamiento or “rising,” and referred to the war as a holy struggle, a cruzada. Until the 1960s, these were the terms officially used in Francoist textbooks, monuments, and government documents. (One multivolume account of the war was titled History of the Spanish Crusade.) As Herbert Southworth was first to show, the regime’s late adoption of the term “civil war” was part of a deliberate policy change that attempted to bridge the gap between official Francoist historiography and that of the democratic West. But the switch was only possible because, by then, Franco’s regime had been strengthened by economic growth and international recognition and it felt less need to compensate rhetorically for the obvious illegitimacy of its origins. Names matter, indeed. 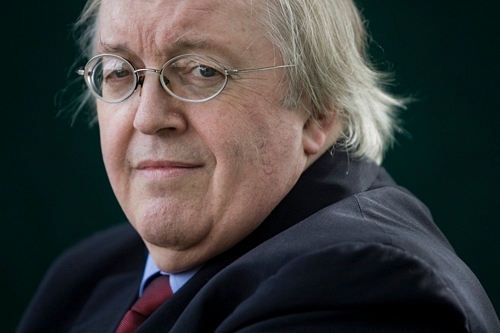 Paul Preston’s choice of The Spanish Holocaust, his latest and most ambitious account of the massive violence unleashed in the wake of the 1936 coup, is as polemical as it is well-pondered. It reflects a conscious attempt on Preston’s part to reframe how we think about the war in Spain and its long, bloody aftermath. Referring to the hundreds of thousands of Spanish deaths as a holocaust has three immediate implications. First, it underscores the massive scale of civilian suffering. Second, it directly links Spain’s Nationalists to the Nazi regime, stressing that Franco’s reign of terror, like that of Hitler and Goebbels, was carefully planned and systematically executed. Third, it calls attention to the motivations behind the violence in Spain. Preston presents convincing evidence that the massive killings perpetrated by Nationalist forces were not just driven by political differences of opinion, but also by an immense amount of cropped-up hatred and disgust filtered through notions of racial inferiority. The military Nationalist leadership saw Spain’s workers and peasants not just as dangerous subversives or fellow citizens gone astray, but actually as subhuman, mentally and morally deranged creatures whose physical extermination was necessary for the good of the country. The Spanish Holocaust draws on Preston’s vast research, as well as scores of recent historical studies, to establish the most accurate possible estimates of numbers of Spanish victims—statistics that, ever since the outbreak of the war, have been notoriously subject to manipulation and distortion. Almost 200,000 men and women were murdered extra-judicially behind the lines. Another 200,000 men fell at the front. Around 20,000 Republicans were executed by the Franco regime in the postwar years. Thousands more died as bombing victims, refugees, and inmates of prisons and concentration camps. And none of these statistics take into account the immense suffering endured by the survivors. These numbers are important and shocking. But the value of Preston’s book is the rich historical context he provides for them. The first four chapters cover the five Republican years (1931-36) to explain the gradual but deliberate build-up of hatred and political tensions. The bulk of the book, organized in eight central chapters, deals with the violence during the war. The long final chapter narrates the “continuation of the war by other means” during Franco’s almost forty-year dictatorship, built on the conviction that only harsh punishment for the defeated, not reconciliation, could be the basis of a “healthy” and “true” post-war Spain. For decades, the country lived in the grips of a perverted justice system that branded loyalty to the Republican government as treason, and largely relied on denunciations from ordinary citizens. As Graham wrote in The Independent, this book, years in the making, happens to appear at an opportune and complicated moment. The movement for the “Recovery of Historical Memory,” which over the past dozen years has exhumed hundreds of mass graves and emphatically defended the rights of the victims of the Franco regime, now faces one of its greatest challenges. The trials that resulted in the disbarment of Judge Baltasar Garzón, who attempted to seek truth and reparation through Spain’s criminal justice system, allowed for unprecedented scenes: victims of Francoism telling their stories of suffering to Spain’s highest court. But the Court’s sentence closed off all possibility of a judicial satisfaction to the victims’ demands. Preston admits in his preface and acknowledgments that writing this book was one of the most difficult tasks he has faced as a scholar—not only because of the scale of its aspirations, but because of the book’s depressing, painful subject matter. Like most of us non-Spaniards who dedicate our lives to understanding the Iberian Peninsula, Preston is driven as much by a thirst for knowledge as by affection and respect for his subject. Forcing himself to research and describe the appalling cruelties that Spaniards were capable of inflicting on each other must have been grueling. Gerald Brenan, another staunch British Hispanophile, famously wrote his seminal Spanish Labyrinth (1943) as a form of therapy, a way to deal with the anxiety caused by the endless flow of distressing news from Spain. After seeing the results of the rebels’ rage in the hospital of Toledo, the UP correspondent Webb Miller told Jay Allen that “he came close to going off his rocker.” One can imagine that the same is true for Preston. But it was worth it: He has produced an indispensable, important book. Sebastiaan Faber teaches at Oberlin College and is Chair of the Board of ALBA. 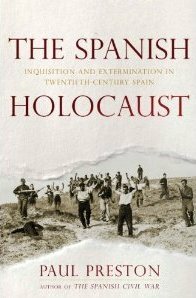 Thank you Sebastian Faber for a great review of the very significant contribution by Paul Preston: The Spanish Holocaust. As a Spaniard born in Madrid 1955, I can testify to the important discernments, clarifications, and thoroughness of research made by Paul Preston in order to achieve a thorough understanding of the Spanish Civil War (SCW) and the Spanish Holocaust; a term that makes justice to what transpired, and as a consequence will remain as a matter of record. As Graham mentions (The Independent),Preston’s historical study is necessary for the truth and genuine reconciliation process that has not taken place in Spain. The recent “Recovery of Historical Memory” process leading to he trials that resulted in the disbarment of Judge Baltasar Garzón (who attempted to seek truth and reparation through Spain’s criminal justice system), may continue on its own accord with the help of Paul Preston’s contribution as text-book / manual for authentic reconcilation to evolve in Spain. This just adds to the tons of useless paper written by anglos about a land they’ve never been able to colonize. For instance, they cannot understand why Spanish is the first language (before English) of the Americas. As a Spaniard (with Spanish surnames) it makes me sad that there’s another book of mythology selling as science. This Preston person proves that the “black legend”, sadly, has not died, and until it does, it will be impossible to understand any of this. Prove that this is pseudo-history is the very title: “holocaust” means “complete or whole burning”. There were gas chambers in the German concentration camps and bodies were burnt after execution. There was only burning of churches, which, by the way started earlier than Franco’s uprising, but not much more burning in the rest of the war. My point is, the author uses the label “holocaust” with very sneaky purposes. Furthermore, the so called Spanish inquisition was abolished in 1834. The use of the word “inquisition” is, at best, political propaganda and, in any case, a relic of the “black legend”. There is also a clear racist statement about the brutal nature of the Spaniard. It is not even concealed. This leads me to a very simple conclusion. This book is not about how the rich brutalize the poor in Spain, but how the English are superior to the Spanish because the latter are a brutal species and are fundamentally incapable of creating a civilized and democratic society. I don’t care for Franco, I don’t care for many things that Spanish society has produced, but I certainly don’t care for patronizing English historians preaching and description of that ugly other called, in their language, the Spaniard. Thanks for your thorough and sensitive review of an important book. My only quibble is calling El País “center-left”. Ojalá lo fuera todavía, but the times have changed and so has that newspaper. Thanks for the review, and thanks Preston for his serious research of the Spanish War Against Fascism. You do not have to applaud anything written about this theme, either by a Spaniard or a foreigner, but “Mr. Kovaliov” please do care for Franco: he is still alive and doing well, as your comments demonstrate, and many more I’ve heard during recent trips to Spain. Francoists still control the country -schools, lands, government and minds-, and non-Francoist are still as afraid as in 1939. “The Black Legend” (not all a lie) was a way for the British to cover-up their own crimes in the 16-19th centuries; “the Spanish Holocaust” is real, unfortunately. Didn’t Abraham Lincoln Brigade Volunteer and historian Arthur H. Landis previously already reveal what happened in Spain during the 1930s in his 1972 book, “Spain: The Unfinished Revolution”?